If you want to become a member of the SobiPro Club, you can choose between different subscription plans. Please check the membership descriptions to find out which plans are available and what they contain. The club membership is a service orientated membership that grants you access to additional resources and benefits. It does not give you any warranty or additional rights related to the products we offer with or without a subscription. The Club membership is time-limited. The membership period (subscription time) is set according to the selected subscription plan. Each of the subscription plans includes the time-limited access to the support area (ticket system), the time-limited access to the documentation and according to the chosen subscription plan, additional enhancements (software) for SobiPro and other benefits specified by the respective plan, if any. On how many sites may I use the club applications? SobiPro and our applications are released under GPL V3 license, means you can install them on as many sites or servers as you wish. Please note the restrictions for our SobiPro templates. Can I use the club applications after my membership expires? Of course you can! But you will not be able to download new releases. Can I get updates of the club applications after my membership expires? During the subscription period, you have access to updates for applications, included in the respective subscription plan. To get updates or new versions after expiration of your subscription, you must again purchase a subscription. Can I upgrade my subscription to a higher level? Not automatically. Please contact us beforehand. I am a long-term customer. Can I get a discount if I renew my membership? We offer our customers a discount if they renew their membership during their active membership term. The earlier you renew the membership, the higher is the discount. If your membership hasn't yet lapsed, check the subscription pages while you are logged in to see your individual discount. I am a new user. Can I get a discount if I buy a membership? No. We offer regular discounts only to our existing customers. On several occasions we offer discount coupons which are available for everyone. We are a non-profit organisation (public charity). Can we get a discount if we buy a membership? Can I buy a single application? Yes. Since September 2016 we offer also single applications. Where can I see the club applications in action? You can take a look at our demo site. Most applications can be seen there. Also this site is made with SobiPro. Where do I get support for SobiPro or the club applications? With an active subscription you have access to the support area. Please note, support is limited to the applications available in your subscription plan. For customers with lapsed memberships we offer a free of charge forum in our community area. Non-customers have read-only access to it. Does a subscription include personal phone or email support? No. Standard support is available only in the support area. If you need individual support, please contact us. I need a specific layout for my directory. Do you offer SobiPro template modifications? Yes. We offer SobiPro template modifications as a service. Please contact us to get your individual offer. The application or feature I need is not yet available. When will it be developed? The estimated development dates are given on our roadmap. Information which are not stated there, aren't yet known. We also offer development services. Please contact us to get your individual offer. I bought a subscription, but can't get access to the support area or the documentation, nor download a club application. Why? You need to logout and back in to bring your new access rights in effect. I ordered a subscription, but get the message "Login denied! Your account has either been blocked or you have not activated it yet." when I try to login to the site. Why? As long as you are not a paying customer (in the past or now) you can’t login to our site. As soon as you pay for the membership you ordered, you will get access to the site. Do you provide the manual in PDF? No. All club documentations are available only on-line. Do you provide developer documentation? At the moment there is no developer documentation available. Which language is used for the documentation and support? All documentations and articles on our site are written in English. The main language used in the SobiPro ticket system is English too. We can also provide native support in Polish. For other languages we handle the support using automatic translations. Can I modify SobiPro or the club applications? Yes. For all our products (software) which are released under the GNU/GPL V3 License, there are additional terms in effect according to section 7 of the GNU General Public License, version 3. Please pay attention to them. 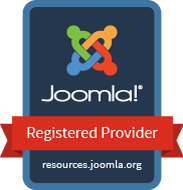 Does SobiPro and the applications work on all Joomla! systems? The target CMS is indicated with coloured badges in the download description of SobiPro and the applications. Which club applications are available? We provide a list of available applications. Please note, not all applications are available for each subscription plan. I heard about a component Sobi2. What is the difference between Sobi2 and SobiPro? Sobi2 is the predecessor of SobiPro. You will find more information in the article Difference between SobiPro and Sobi2. I still use Sobi2. Can I get support for it with a subscription? No. We do not longer support Sobi2. The SobiPro subscriptions do not include support or other benefits for the Sobi2 component and/or extensions for Sobi2. A club membership does not include the right to services which are not stated explicitly. I.e. by purchasing a subscription, you are not entitled to get individual support from the developers of SobiPro, to the creation or modification of web pages or templates (Joomla! or SobiPro templates) or to changes of any kind to the program code of SobiPro, of the software included in your subscription plan, or any other software made available by us. .
On May 25th, 2018 the European Union's General Data Protection Regulation (GDPR) came into effect. Sigsiu.NET GmbH is taking care about your privacy and security. Please see the following common questions according the personal data handling at Sigsiu.NET GmbH. I am a customer of yours (bought a membership in the past) but I cannot longer login. I get "Username and password do not match or you do not have an account yet.". When I try to get my username or reset my password, I get "Reminder failed: User not found." resp. "Reset password failed: Invalid email address". But I am sure my email address is correct. Why I can't login? Probably you haven't logged in the last 18 (eighteen) months to our site. We are sorry, but in this case your account have been deleted automatically in the meantime. Please create a new account for your next purchase. What can I do to prevent my account from being deleted automatically? If you want your user account to not be deleted, just log into our site at least once every 18 months. You DO NOT have to make any purchase. Can you exempt my account from being deleted automatically? Unfortunately we cannot exempt you from the account deletion policy even if you ask us to. The law does not give us that option. Which personal data do you collect? Please find the list of the data we collect in our privacy statementy. All the information the European Union requires us to make available to you is in there. We will delete your data profile automatically 18 months after your last subscription expires or you last logged into our site, whichever comes later. However, we are going to be ramping up the deletion period over time. We will start with an 30 month cutoff period (instead of 18 months) until September. Then we will reduce it to 24 months. On January 2019 we will reduce it again to 18 months. Can I revoke my consent to processing personal information? You can withdraw your consent at any time but we won't be able to provide any of our services to you until you give your consent again. What happens when I revoke my consent to processing personal information? Should you revoke your consent you will only be able to use the logged out (public) version of our site until you give your consent again. How can I revoke or give again my consent to processing personal information? Click on the Personal Data Options link you can find at the footer of every page of our site after logging in. Log in. Then click on My Profile link from the "My Club" dropdown menu. Click on the Edit Profile link at the top right of that page. On the edit page scroll down until you find the Personal Data Options header. Click the "Manage your personal data options" link next to it. How can I exercise my data portability right? How can I exercise my right to be forgotten? Log in. Then click on My Profile link from the "My Club" drop-down menu. Click on the Edit Profile link at the top right of that page. On the edit page scroll down until you find the Personal Data Options header. Click the "Manage your personal data options" link next to it. I tried to delete my account, but it says "The user account cannot be deleted automatically right now.". Why? Probably you have purchased a subscription within the last 180 days. We cannot delete your account until this many days elapse since this information is used for tax reporting and as evidence of service provisioning in case of a payment dispute. Legal requirements trump GDPR provisions in these cases. Of course after 180 days from your last purchase you can delete your user account without refund if you so wish. How can I correct my personal information? Your right to amendment is possible through the My Profile link from the "My Club" drop-down menu on our site once you log in. How do you store my personal data in backups? We create encrypted archives with a strong password and store them in an encrypted cloud storage on our servers located in Germany (EU ground). Older backups will be copied to a local encrypted hard drive not accessible to the public (no incoming connection from the Internet) and deleted from the cloud storage. What about the security of credentials I give in a support ticket? Never add credentials to a public ticket. When filing a public ticket or when you are providing your ticket system signature you have no reasonable expectation of privacy and as such any information volunteered in a public ticket is not subject to our privacy statement. Sensitive information you add to a private ticket will be redacted from the ticket and put in encrypted storage by the support staff. As soon as you close a ticket, the data stored in the encrypted storage are immediately deleted. The ticket emails you send do not longer contain the ticket content. Why? According to the GDPR, we cannot longer send the content of private tickets via un-encrypted emails. As implementing support for encrypted emails in the ticket system is complicated and technically infeasible in most cases, private emails will not longer contain the ticket content. Please go to the support area of our site to read the ticket content. The ticket system shows my picture I uploaded to Gravatar. Is this GDPR compliant? Using Gravatar is GDPR compliant. No personally identifiable information is transmitted to Gravatar. What is transmitted is an MD5 sum of the email address. This is a pseudonymous identifier which can NOT be decoded back to the personal information (email address). Transmitting pseudonymous identifiers is GDPR compliant. If you do not want to have your picture shown, remove it from Gravatar or use a different email address with us. Do other users see the content of my tickets or my name? Public tickets are shown to other users. If you do not what to have them shown file a private ticket. By default, the system generates private tickets. However, all your tickets are anonymized. That means your name is not shown to other users, only the ticket title and content. What happens to my personal data after I requested its deletion? Your user name will be pseudonymized to something like “user1234”. Your email address will be pseudonymized to something like “user1234@example.com”. Your name on the user account will be pseudonymized to something like “User 1234”. Your password will be changed to a random one. Your account creation and last access time will be set to a fake date, before this site existed. Any administrator notes on your user (a.k.a. user notes) will be deleted. Any additional user profile fields will be removed or emptied, depending on what is technically feasible. The server-side security keys for the Remember Me feature will be removed. The user account will be stripped of all its access privileges, making it impossible to log in or reset the password. Your abandoned subscription attempts (where you never tried to pay) will be deleted. All other subscriptions and subscription attempts (where you tried to pay, no matter if it was successful or not) will be pseudonymized by replacing the transaction identifier with a random one and removing the IP address and browser User Agent information from them. Any notes we had made on the subscription, e.g. recording a special circumstance for giving you a discount, will be removed. All invoicing information we have collected on our system will be removed. All invoices and credit notes will be removed from our site. Clarification: we are legally required to keep a backup copy of the actual invoices and credit notes and an off-line record with their metadata for at least ten fiscal years since the transaction took place. This obligation overrides your right to be forgotten per the GDPR, therefore these copies will not be deleted but they will also not be used for any other purpose than taxation and legal obligations of the company. All of your private and public tickets will be deleted, including their posts and attachments. This website and all texts and images therein are copyrighted and protected by law. You may not publish, distribute or sell them or parts of it without explicit written permission of Sigsiu.NET GmbH.